Public Course Fee: $750.00 USD per, person. Public Course Fee: €650.00 Euro per, person. The incidents of kidnapping and terrorism are on the rise globally and therefore it makes sense that everyone learns strategies to how to deal with being involved in a criminal, terrorist or kidnapping situation. Long gone are the days when only the rich and famous were at risk of being kidnapped by organized criminals and acts of terrorism can affect everyone. Sadly, today just being from an Western country or appearing to have a disposable income will make you a target for being kidnapped and terrorized. While our three-day kidnap prevention workshops are aimed at the individual, who travels internationally, for either business or personal reasons; these courses are also relevant for people who are concerned about the safety issues in their daily lives. Our courses will teach you how to put in place realistic security plans and procedures. Also how to react and deal with being kidnapped, held hostage or involved in a terrorist situation, in addition to teaching you how to identify and avoid potential problems. 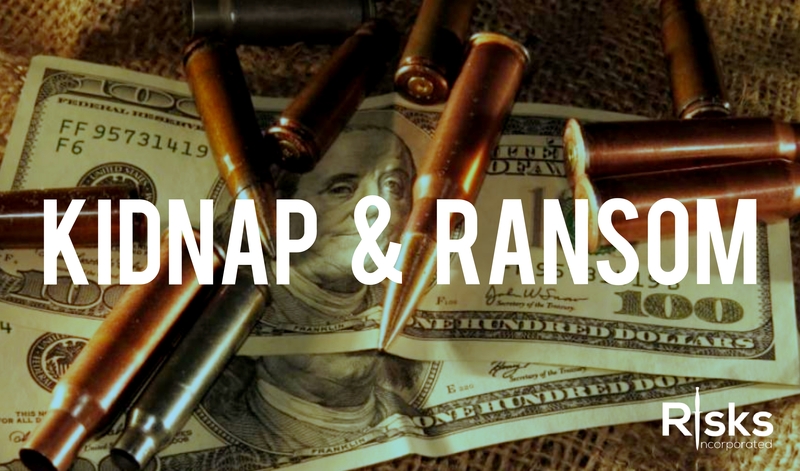 The Risks Incorporated kidnap and ransom courses are the only courses that will give you a realistic grounding in counter terrorism and kidnapping operations. We will teach you how to plan to avoid and deal with terrorist and criminal attacks. We will teach you practical counter kidnapping procedures and responses to deal with crisis situations. We will also expose you to the cultural environments and problems that you will encounter on live operations. We will take you into the real world of terrorism and kidnap and ransom! The content of our kidnap prevention courses in Miami and Europe are drawn from the many years’ experience of our operative’s operational experience which, ranges from providing close protection services in 5 star European hotels to training specialist police teams to operate covertly in the back streets of the emerging markets.